Bounded by Tibet in the north, Assam and Nagaland in the east and Bhutan in the west, Arunachal Pradesh, fromerly known as North-East Frontier Agency or NEFA, covers an area of 83,743 square kilometres and thus has the largest territory among the seven units of North East India. 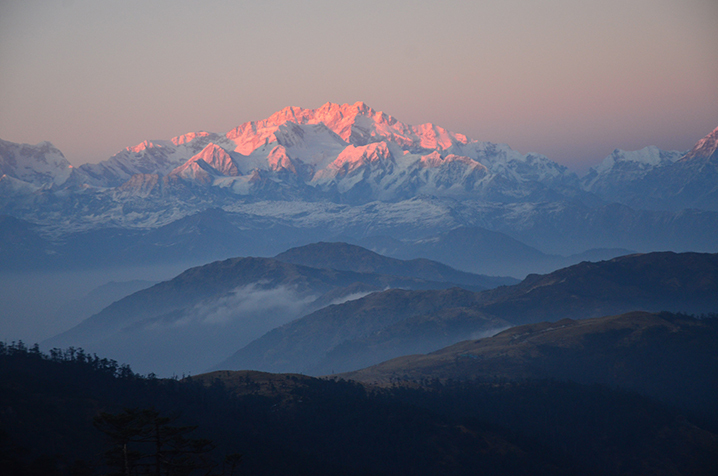 This hilly land of the sub-Himalayan tracts, made into a Union territory through administrative reorganisation after independence, was given full statehood in 1987. To the first zone belong the Buddhist or near-Buddhist groups of the westernmost parts, other small tribes along the northern frontier, and the Khamtis and the Singphos in the foothills of the eastern parts. These Buddhist and near-Buddhis groups have elements of civilization considerably influenced by Tibet and Burma. The Monpas and the Serdukpens are followers of Tibetan buddhism while the Khamptis and Singphos, who are Buddhists of Burmese affiliation, have migrated from the Irrawady valley in comparatively recent times and lived in close proximity to the plains of Assam. The Buguns (Khowas), the Hrussos (Akas) and the Dhammais (Mijis), though not Buddhists themselves, have imbibed many cultural elements from their Buddhistic neighbours. In the great central area live a large number of tribal groups who have been divided by the difficulty of communications and by the state of war in which they lived before they were brought under a common administration. The chief groups among these are the Adis (divided into several sub-groups), the Nishis (Daflas, Bangnis), the Apatanis, the Hill Miris, the Tagins and the three groups of the Mishmis. The third area, comprising the south-eastern parts of the territory bordering on Burma, is inhabited chiefly by the Wanchos, the Noctes (who have adopted elements of Assam Vaishanavism), the various small groups collectively known as Tangsa, and small population of Singphos and Khamptis. Although all the three cultural areas have many traits in common, there are also certain others that distinguish them form one another. Again, there have been contacts with the plains of Assam at various levels and a kind of patois of Assamese language-sometimes designated as Nefamese, has served as lingua franca for communication among different groups. 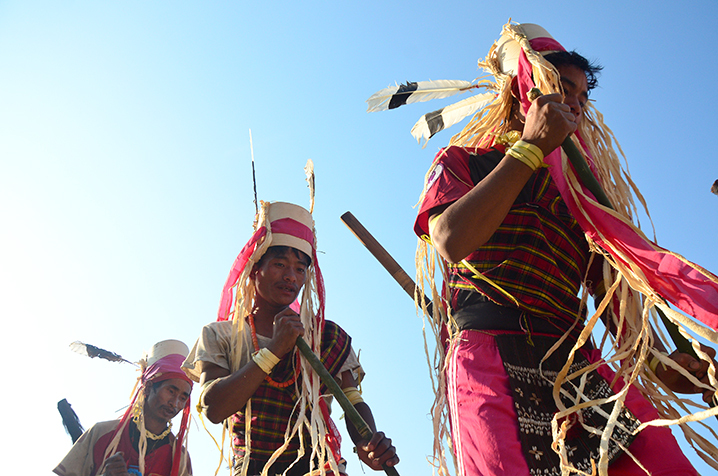 Arunachal has 26 major tribes and many sub-tribes living in 3649 scattered villages. Although a number of tribal groups constitue the total population, the density of population is very less. People are Mangoloid stock but each tribe has certain distinct characteristics in language, dress & costume. The society is patriachal and primogeniture and the fundamental laws of inheritance with variations are not uncommon. They follow endogamy and strictly observe the rule of clan exogamy. Polygamy is socially sanctioned and is practiced by most of them. The people are highly democratic, and each tribe has its own organised institutions that maintain law and order , decide disputes and take up all activities for the welfare of the tribes and the villages. The members constituting these organisations are selected by the people. It has been found that the tribes of Arunachal are integrated into groups independant of each other, living their separate lives. The common denominators are that the pattern of lifestyle of each is the same and that they follow the same occupation; the societies are casteless; the societies are governed by chiefs and the adults were grouped according to their age for distinct social functions. The young are organised around dormitory institutions to follow the instructions of the older generation. 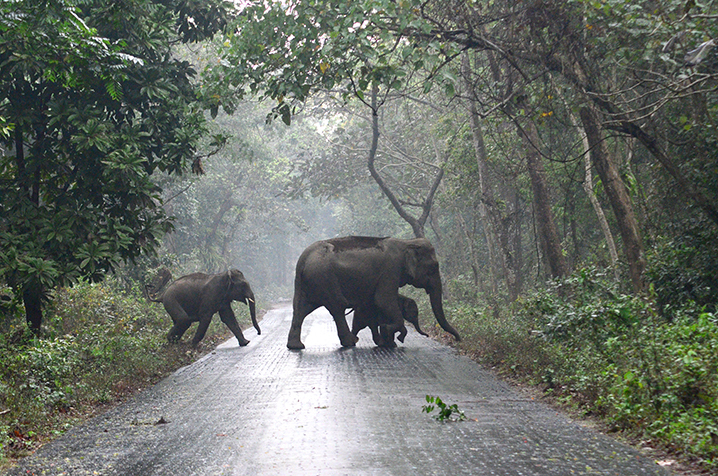 The WANCHOS inhabit the south-western part of the Tirap district bordering Nagaland. They are fond of wearing decorated headgears and heavy strings of beads on the neck, arms, legs and ears. The NOCTES inhabit the central part of the Tirap district, to the north of the Wanchos. These people have a long and traditional contact with the people of the neighbouring plains. Many of them are Vaishnavites. TANGSAS is a common name of a group of people consisting of the Lungchang, Moklong, Yugli, Lungri, Have, Moshong, Rundra, Takhak, Ponthi and Longphi. Each group is subdivided into a number of exogamous clans. These tribes occupy the Changlang district along the Indo-Myanmar front. The SINGPHOS live on the banks of Siang and Noa Dihing rivers and extend towards the southeast into the land of the Khamptis. They are a fine athletic race with developed Mongolian features. They are expert blacksmiths and prepare iron implements of quality. The ladies are good weavers. They are Buddhists. The KHAMPTIS live to the south of the Lohit district along the Kamlang, Dehing and Tengapani rivers with the Parasuramkund to the northeast and Tirap district of the south. The Khamptis are good craftsmen, enterprising traders and skilful agriculturists. They are Buddhists. There are three main groups of the Mishmis, viz. Idu, Miju or Kaman and Digaru or Taraon. The Idus, also called Chulikata, by the plains people live in Dibang valley district. With roughly 25,000 members, the Idu tribe is divided into sections, each named after the river by the side of which they live. It is by the manner of hair doing that the Idus (Chulikatas) are distinguished from other tribes. The front hair is combed down on the brow and then cut straight across from ear to ear. The back hair is collected in a knot. The Mijis (Kamans) live in the Lohit district, east of the Taraons. Their number is approximately 18,000. The Kamans unlike the Idus, keep their hair long. Their dress is as colourful as it is durable. The Kaman, specially the women, have an admirable sense of colour and pattern. Agriculture is one of the main occupations of these people. The Digarus call themselves as Taraon. They are good agriculturists. The tribes of the East, West and Upper Siang districts are mainly those classified under the general title of "adis". They may be divided into three main groups: GALOS, PADAMS, and MIWONGS, each of which can again be subdivided into a number of sub-groups. They are exogamous. Dances are very popular among the Adis. 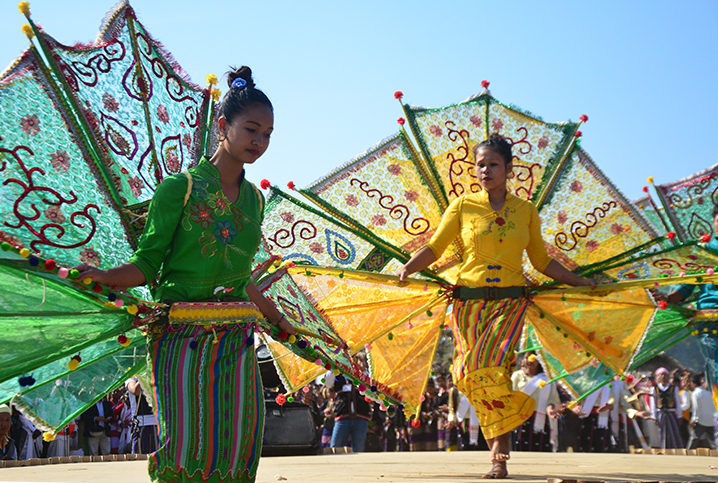 Ponung is their traditional dance, which is also religious in character. The Galos weave clothes of highly artistic designs and the finest profit is a beautiful skirt with a central pattern of black yarn netted in regular designs of black and white. The most striking features of the Padam and Minyong society are their highly organized political institution represented by the Kebang or village council and the dormitory. They are forward looking, active and expert weavers. Along the international frontier in the Tuting area live the KHAMBAS. They are Buddhists and lovers of dance. The Membas are found along the northern border of Upper Siang district. They are by religion Buddhist. To the north along the banks of the Sipi river extends the country of the TAGINS. They are also sometimes known as Moyas because of their preference for the shady mountain for their villages. Agriculture is their main occupation. The Hill Miris inhabiting the lower Kamla valley look attractive in their costume. They tie the hair in a knot just above the forehead. Their women wear attractive "crinoline of cane rings" which serves the purpose of a blouse but now it is not seen in the urban areas. The Apatanis are settled in a valley in the Centre of the lower Subansiri district around the district headquarters. They live in crowded villages , are expert in wet cultivation and grow paddy and millet in abundance. They have a stable agricultural economy. 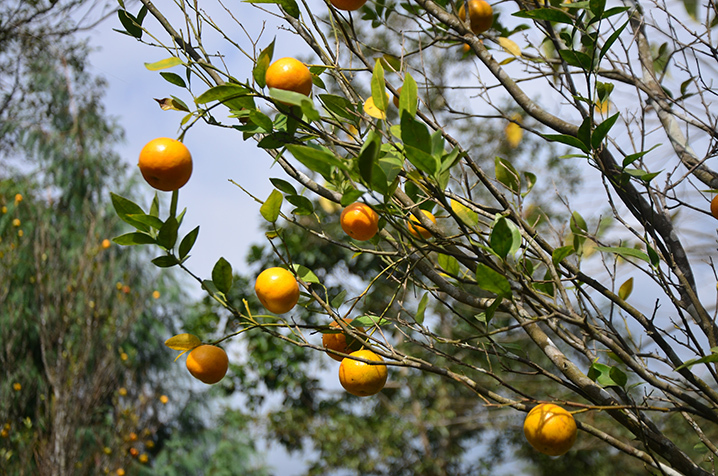 The Nyishis are divided into several exogamous clans. The Nyishi men keep their hair long and tie it in a knot just above the forehead and they wear cane bands around the waist traditional dress. The Hrussos are commonly called Akas which means 'painted' for they have a custom of painting their faces with black marks. They figured frequently in old historical records. They are good traders. The Khowas (Bugun) occupy 7 villages in Teilga and Bichum valley in the neighbourhood of the Sherdukpens.Buddhism influences the Buguns. The Puroiks (SULUNGS), live mainly in the high altitudes of Kameng districts. They dress like the Nyishis. The Mijis call themselves Dhamai. In appearance and way of life there is little to distinguish them from the Akas(Hrussos). 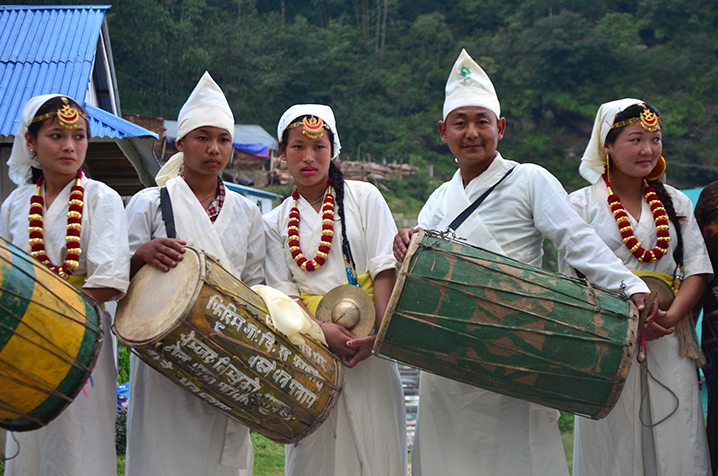 The Sherdukpens live mainly in the two villages of Rupa and Shergaon in West Kameng district.They are divided into two classes, the Thongs and the Gheos. The Sherdukpens are good agriculturalists and traders. Their religion is an interesting blend of Buddhism and religious beliefs. There are the gentle and cultured Monpas of West Kameng Districts who received Buddhism from Guru Padma Sambhava . The state's pristine beauty, however, remained hidden to the outside world and it was only in 1992 that Arunachal Pradesh opened its door to tourists, both domestic and international. 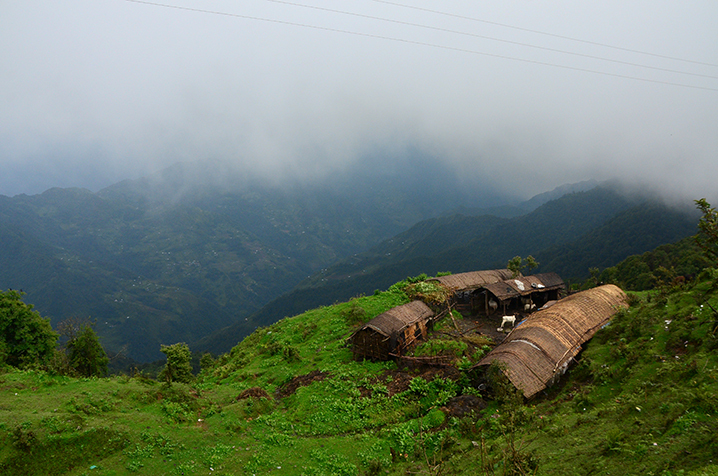 Since then the allure of this unknown and fascinating land has held visitors in thrall, not merely over the scenic beauty but also because Arunachal Pradesh, due to the years of seclusion has succeeded in keeping itself as one of the last bastions of the tribal world that thrives here in a colourful and district way of life.